Dr. Hitch is a Senior Lecturer in Occupational Therapy at Deakin University, and the Allied Health Research and Translation Lead at Western Health. Her clinical career focused on psychosocial rehabilitation for people with mental illness, both in Australia and the United Kingdom. Dr. Hitch has a keen interest in mixed methodologies, knowledge translation, social justice in health care and building workforce capacity. 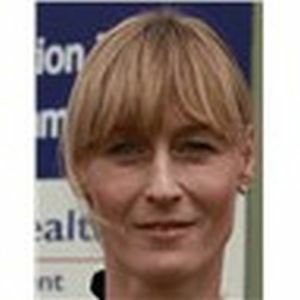 Rachel Quigley is an advanced physiotherapist. She has worked in the field of gerontology for over 20 years in Australia, the UK, Saudi Arabia and Bahrain. She holds a clinical role in Cairns Hospital, as the Older Persons Liaison Advanced Clinician and a concurrent position at James Cook University as part of the Healthy Ageing Research Team. This research role focuses on projects involved with dementia and ageing targeted in Aboriginal and Torres Strait Islander populations in Far North Queensland and models of integrated care for older adults with complex care needs. She is currently undertaking a MPhil through Griffith University focusing on the experiences of carers of older adults as they navigate aged care and health care systems. 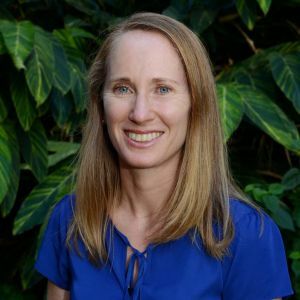 Since qualifying as a physiotherapist from the University of Sydney in 2001, Anna has worked with multidisciplinary and interdisciplinary teams in clinical, research and education settings in both Australia and the UK. She completed her PhD at the University of Sheffield in 2009 exploring allied health workforce flexibility and has since pursued a career in health services research working in the UK and Australia for and with regional and metropolitan universities, health services, not for profit organisations and professional associations. Anna’s academic career to date has produced 19 peer reviewed journal articles and over $2.4 million in research grant funding. 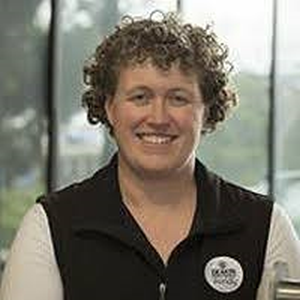 Anna is currently employed by the University of Melbourne as an embedded researcher in a regional Victorian health service to build research capacity and capability and continues to work clinically as a physiotherapist in her family-owned private physiotherapy practice in regional Victoria. Andrew emigrated to Australia from UK to take up a rotational pharmacy position at the Princess Alexandra Hospital in 2003. Whilst at PAH, Andrew was appointed to Senior Pharmacist in Pre Admission Clinic, having developed an interest in the speciality of peri operative medication management. He completed his PhD in 2014, on the evaluation of pharmacist prescribing within pre admission clinic, and has developed a keen interest in pharmacy and allied health extended scope implementation and evaluation. 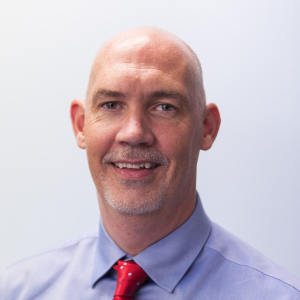 Andrew is the Qld pharmacy representative on the Allied Health Prescribing Trial Advisory Group (AHPTAG), that is responsible for the oversight of several ongoing studies evaluating allied health prescribing in various clinical settings. 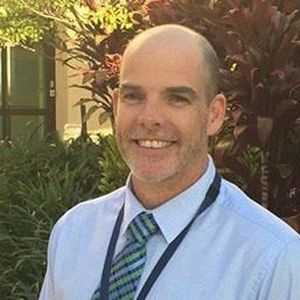 In 2015, Andrew moved to the Royal Brisbane and Women’s Hospital to take up a position in pre admission clinic, and was subsequently appointed in 2016 to Assistant Director of Clinical Pharmacy Services. Katherine began her working life as an Occupational Therapist in acute inpatient and community settings, before completing a PhD in 2013 and shifting focus to pursue a career in health services research. She is a Research Fellow and Manager of the Allied Health Research Office at Eastern Health, where she shares responsibility for the provision of research training and support for allied health clinicians, promotes research activity and leads a range of projects within Eastern Health. Her research interests include triage and access systems for ambulatory services, and improving outcomes for patients returning to the community after rehabilitation. 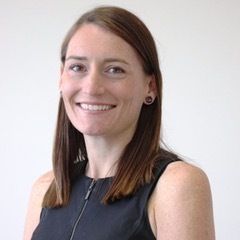 Katherine is also a Principal Research Fellow at La Trobe University, where she currently holds an MRFF Translating Research into Practice Fellowship, and is the Secretary of the Health Services Research Association of Australia and New Zealand. Tom is a Research Fellow at the School of Human Movement and Nutrition Sciences at the University of Queensland and leads the Physiology and Ultrasound Laboratory in Science and Exercise (PULSE). Tom’s research interest is in cardiovascular physiology, healthy ageing and cardiovascular disease; focussing on the benefits of exercise training for the prevention and treatment of chronic disease. Tom also aims to understand changes in cardiovascular function and structure with ageing and in females across the lifespan. In the lab, he uses a variety of novel imaging approaches for the assessment of blood flow, vascular function and structure, including at the brain, conduit and micro-vessels. He currently supervises PhD, masters and Honours candidates across institutions, and has been successful in seed funding investigating treatment toxicity and cardiovascular function in cancer survivors, and the influence of passive heat therapy on lower limb function in adults with peripheral artery disease. Owen Howlett has worked clinically as an occupational therapist in regional and rural locations over the past 20 years. 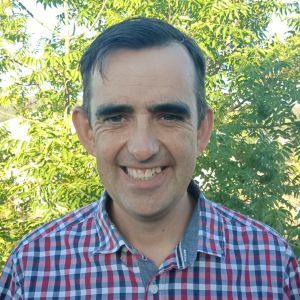 He is the Allied Health Research Translation Lead at Bendigo Health and an academic occupational therapist at the La Trobe University Rural Health School. Owen has an active interest in collaborating with clinicians to enable health services to use research evidence in decision making. His research interests include conducting systematic and scoping reviews and establishing effective strategies to facilitate knowledge translation. 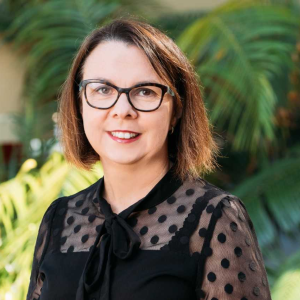 Desley Harvey is Principal Research Fellow (Health Practitioner Research Capacity Building) at Cairns and Hinterland Hospital and Health Service and adjunct research fellow at the College of Healthcare Sciences, James Cook University. She has over 18 years’ experience as an academic, public health professional and social worker in university, government and not-for -profits sectors in rural, remote and regional health settings. Her current work focuses on strengthening allied health research capacity, student supervision and health services research and evaluation in aged care and innovative allied health models of care. Prof Ward is the Professor of the Centre for Functioning and Health Research (CFAHR) in Metro South Hospital and Health Service, Queensland Health, and Professor in the School of Health and Rehabilitation Sciences, The University of Queensland, Australia. She is a leading international researcher with over 300 publications, and has been a keynote/invited speaker in over 20 countries. Her research interests primarily centre on the practice area of dysphagia, with particular interest the management of patients with head and neck cancer. She has had extensive experience in health services research: working closely with clinical teams to build new evidence, evaluate new models of care and address undergraduate/workforce clinical training issues. Prof Ward has graduated 24 PhD students (has 16 currently enrolled) and has received prestigious awards for Excellence in Research Higher Degree Supervision. Prof Ward was made “Fellow of Speech Pathology Australia” in 2014, recognising her contributions to the profession. 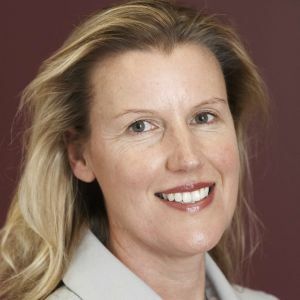 Dr Belinda Gavaghan is currently A/Director at the Allied Health Professions’ Office of Queensland. Her research focuses on allied health workforce reform and redesign and particularly the development, implementation and evaluation of new and innovative models of care that optimise scope of practice for allied health professionals. Belinda has degrees in speech pathology (Hons) and public health (MPH and DrPH). 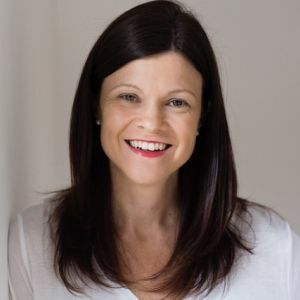 She has over 15 years of practice experience as a speech pathologist in public and private healthcare settings and is a graduate of the NSW Public Health Training Program. Dr Petrea Cornwell is an Associate Professor of Speech Pathology at Griffith University in the School of Allied Health Sciences and Menzies Health Institute Queensland. Prior commencing this role Petrea worked in conjoint research positions between universities and health services for 13 years conducting research in the clinical context and supporting clinicians to develop and implement research within their everyday work. 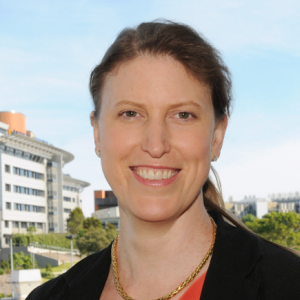 Her research interests span investigations of stroke and rehabilitation models of care, delegation models for the assistant workforce, and acquired neurogenic communication and swallowing disorders. 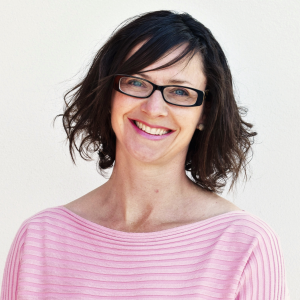 Marnie is a physiotherapist with a Masters of Public Health (Deakin University). She recently submitted a PhD thesis (University of Melbourne) investigating the clinical management of obstructive sleep apnoea in people with tetraplegia. 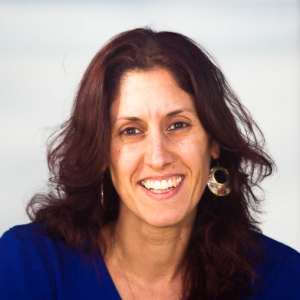 Her research sits broadly within a knowledge translation framework and she is experienced in a variety of qualitative and quantitative methodologies. 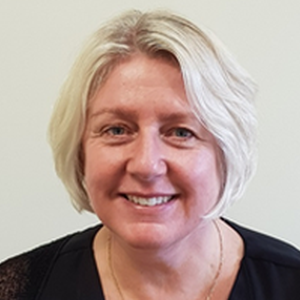 She has recently commenced a new role at Alfred Health (Melbourne) as Allied Health Research and Translation Lead, where her role is to build capacity for allied health clinicians and departments to undertake knowledge translation research. As the Area Allied Health Advisor and professional lead for SMHS allied health and health science professionals 2007-2016, Marani has lead strategic workforce planning, change management and education and training strategies to support SMHS reconfiguration, clinical service planning and commissioning during an unprecedented capital works program in WA. With a background in management, project management, training & education, OSH, Aboriginal health, disability and rural and remote service provision, Marani has managed a number of State and Commonwealth funded projects for WA Health and has co-authored published research articles relating to aged care, emergency department presentations, clinical leadership and clinical engagement. She was the allied health lead on the 2008 WA Health ‘Four Hour Rule’ tour and has championed implementation of this emergency demand strategy. 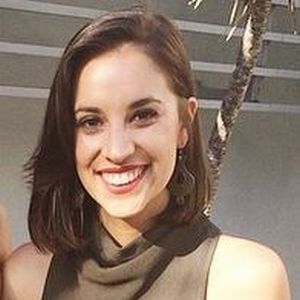 Hannah is an Occupational Therapist based in Sydney, Australia where she works as the senior clinical researcher of Westmead Hospital’s Brain Injury Rehabilitation Service. She holds an adjunct research appointment with the School of Community Health of Charles Sturt University and is a casual lecturer at the University of Sydney teaching undergraduate OT students. 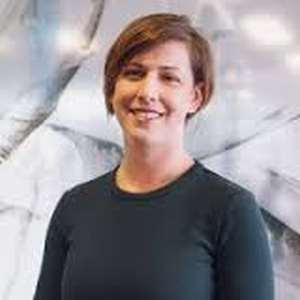 She was awarded her PhD from the University of Sydney in 2015 for research into novel measurement techniques for adults with upper limb undergoing spasticity, an area where she provides sub-speciality training for clinicians across multiple disciplines. Her research interests include clinical assessment and management of motor and cognitive impairments after neurological injury for improving patient outcomes. Annette has a Bachelor of Podiatry from La trobe University in Melbourne and PhD in falls and footwear from Monash University. 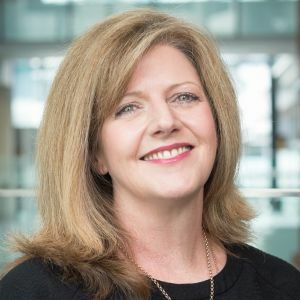 She is currently the manager of the Workforce Innovation Strategy Education and Research (WISER) unit for allied health at Monash Health. 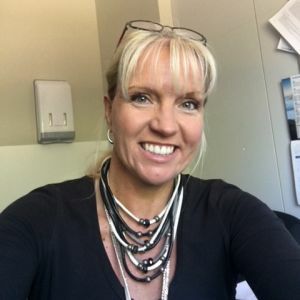 Annette has also worked with the Department of Health and Human Services Victoria on workforce reform and innovation in the National Disability Insurance Scheme (NDIS), developing a governance framework for the assistant workforce. Sarah Bailey is a Psychologist who works in an Allied Health Workforce Development Officer role at Princess Alexandra Hospital. She worked in a clinical role for many years before completing her Masters of Organisational Psychology and moving into the workforce development space. Sarah has been the project lead for the hello my name is initiative for Metro South Health. Making a difference to patients and consumers remain core to her values and the heart of what she does. 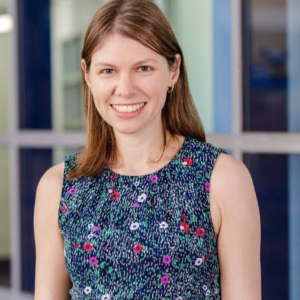 Dr Bell is an advanced dietitian, a conjoint Principal Research Fellow with University of Queensland and Metro North Hospital Health Service, and a current MRFF TRIP Fellow. 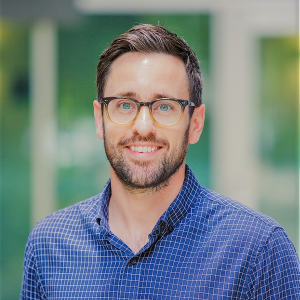 As an implementation scientist Jack currently works with teams across Queensland and Canada to implement systematised, interdisciplinary malnutrition care in hospitals. As a member of the Queensland Clinical Senate and Metro North Clinical Council Jack advocates for high value healthcare and better work/life balance. 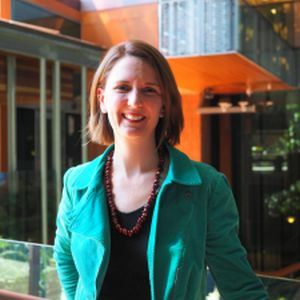 Dr Ashley Cameron graduated with a Bachelor of Psychology from the Queensland University of Technology in 2007 and a Masters of Speech Pathology Studies from the University of Queensland in 2009. In 2018 she completed her PhD at the University of Queensland where she investigated approaches to enhance the participation of individuals with acquired communication difficulties in the healthcare setting. Ashley has worked at the Princess Alexandra Hospital since 2010 and has a specialised focus in neurosciences and the translation of clinical research. Katrina holds a strategic health service-wide conjoint in Health Services Research (Allied Health) in Metro North and Menzies Health Institute. She leads pragmatic clinical and implementation trials measuring patient, health service and economic outcomes. Her background is as a dietitian, with an international profile in renal nutrition, publishing more than 100 papers in this area. 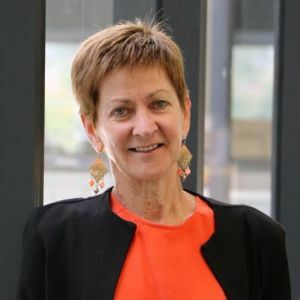 She is a passionate advocate for allied health to challenge the status quo, evaluate outcomes and harness opportunities to improve the health of all Australians. 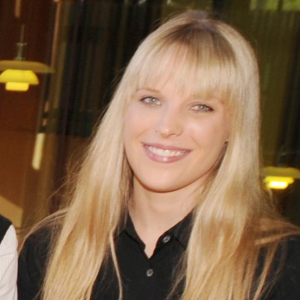 Dr Hannah Mayr is an Accredited Practicing Dietitian and recently completed her PhD at La Trobe University. She investigated the effect of a Mediterranean versus low-fat diet on inflammation and adiposity in patients with coronary heart disease and she received the ‘New Researcher Award’ at the Dietitians Association of Australia National Conference 2018. Hannah continues to work with the Mediterranean diet research group at La Trobe in a post-doctoral researcher capacity. Hannah is also currently employed as a research dietitian at Princess Alexandra Hospital (PAH) in Brisbane where she contributes dietary expertise to clinical research studies and funding applications within the established research group, the Metabolic Research Collaborative. Hannah is involved in establishing implementation projects for use of the Mediterranean diet in treatment of chronic disease patients and was recently awarded an Early Career Researcher Grant to facilitate this work in Metro South Health with a multidisciplinary team of Dietitians and Medical Specialists. Hannah is also involved with capacity building for clinical dietitians to engage in research. 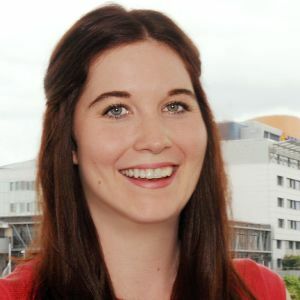 Hannah is a Lecturer at Bond University in the Master of Nutrition and Dietetic Practice and is passionate about engaging dietetics students in research activities. 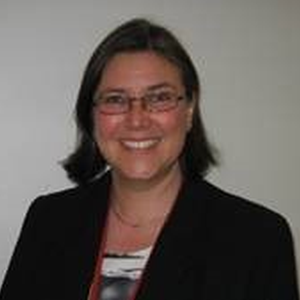 Dr Ingrid Hickman AdvAPD, PhD is a Principal Research Fellow with the Department of Nutrition and Dietetics at the Princess Alexandra Hospital and the Mater Research Institute-UQ in Brisbane, Australia. Ingrid’s research program specialises in investigating the metabolic factors that contribute to obesity-related chronic disease. The focus of her research team is to translate medical research findings into improved evidence based practice for clinicians treating people with obesity-related chronic disease. Ingrid is chair of the Allied Health-Translating Research into Practice (AH-TRIP) working group and is passionate about supporting clinical staff to translate scientific discoveries into better treatments. 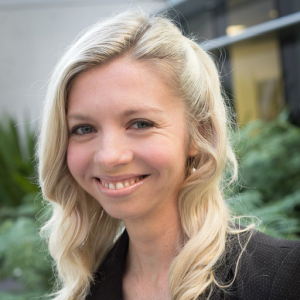 Dr Laurelie Wishart holds a Bachelor of Speech Pathology (Hons, University Medal) from the University of Queensland, and completed her PhD in 2016, investigating the use of telehealth applications to assist the management of swallowing disorders in patients with head/neck cancer. She also has wider research interests in the use of digital technologies/telehealth, cancer care and survivorship, health services research, and implementation science. Laurelie currently works as the Workforce Development Officer – Research (Allied Health) within Metro South Health, where she provides research capacity building and mentoring to allied health clinicians throughout the health service. She is a research affiliate of the Centre for Functioning and Health Research, the Centre for Research in Telerehabilitation, the Queensland Collaborative for Cancer Survivorship, and the NHMRC Centre for Research Excellence in Telehealth. Associate Professor Robyn Littlewood is the Director, Health Services Research, Queensland Children’s Hospital, Children’s Health Queensland Hospital and Health Service, Co-Chair, Queensland Child and Youth Clinical Network and Member, Clinical Networks Executive Committee, Clinical Excellence Queensland, Department of Health. 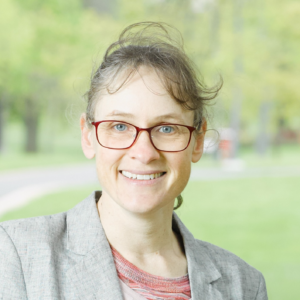 Associate Professor Littlewood holds a conjoint A/Professor Nutrition position at the University of Queensland and lectures in paediatric obesity and health management. She has completed both a Masters of Medical Science and PhD in the area of Paediatric Nutrition and is currently completing an MBA. A/Prof Littlewood has held editorial board membership positions, was previously a Board Director, Dietitians Association of Australia and Director, Dietetics and Food Services, Royal Children’s’ Hospital for over 10 years. A/Prof Littlewood continues to maintain a clinical position in the area of tertiary paediatric obesity for Children’s Health Queensland and maintains special interests in the area of paediatric food services and infant obesity prevention. 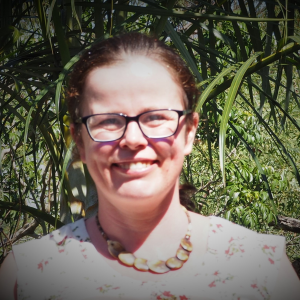 Dr Emma Finch is a conjoint research fellow between The University of Queensland School of Health and Rehabilitation Sciences and the Princess Alexandra Hospital Speech Pathology Department. The primary focus of Emma’s research is on improving the social participation of people with acquired brain injury. 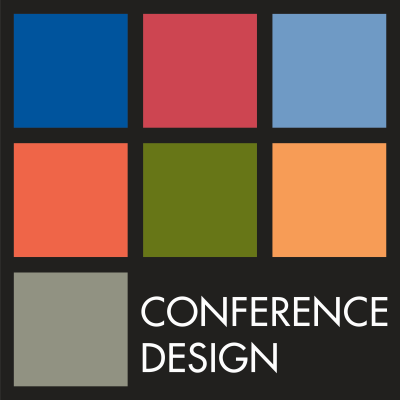 A secondary focus is increasing the research capacity of allied health professionals. 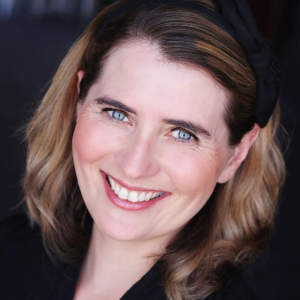 Emma holds a Bachelor of Speech Pathology (Honours Class I, 2003, University medal) and a PhD in the field of Speech Pathology (awarded 2008). Anna Tynan currently works as a Research Fellow with the Darling Downs Hospital and Health Service. 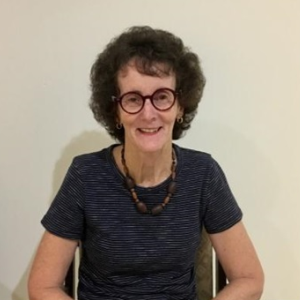 She is an Honorary Research Fellow with The Rural Clinical School at The University of Queensland and an Academic Supervisor with the University of Southern Queensland. Anna has a Bachelor of Occupational Therapy and a Master of International Public Health with the University of Queensland. Her PhD was based in Papua New Guinea and focused on the application of novel biomedical prevention strategies for the prevention of HIV. Anna has worked and conducted research in a number of different settings including the pacific islands, rural and remote Australia, India and Switzerland. 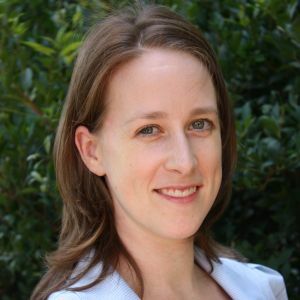 Anna’s research interests include health services research, health systems research, rural health, working in complex environments, and working with vulnerable and marginalised populations. Anna is skilled in qualitative research and mixed methods. Dr Jeanne Marshall is an Advanced Speech Language Pathologist currently practising at the Queensland Children’s Hospital. As well as working in a clinical leadership capacity, Jeanne is also currently engaged in a research capacity building role for Children’s Health Queensland. Jeanne completed her PhD in 2014 in the area of paediatric dysphagia, and this continues to be her interest both clinically and with regards to research. Jeanne currently also lectures at The University of Queensland. Dr Angela Vivanti is an Advanced Accredited Practicing Dietitian and the Research and Development Dietitian at the Princess Alexandra Hospital. She is Australia’s representative and chairs the International Nutrition Care Process Terminology (NCPT) workgroup and will soon chair the NCPT Research Outcomes Committee. This work progresses professional implementation of a standardized Nutrition Care Process Terminology including integration into SNOMED-CT International to optimize the interface with electronic health records for the transformational (and not just transitional) opportunity that it offers. Angela has been on the scientific committees of international and national conferences over many years She has authored/co-authored articles, abstracts, evidence-based guidelines and systematic reviews including Cochrane reviews.